Happy birthday to William Kennedy, Alan Garner, Tim Sherwood and Michael Drennan – the Pompey players from the Blues’ past born on this day. Kennedy was well before my time – that of anyone – and isn’t really known to me. Garner was also before my time but I recall Sherwood – probably more so for his spells with others – and Drennan from his loan spells with Pompey. 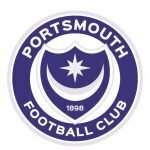 What are your memories of Kennedy – too soon for anyone, Garner, Sherwood and/or Drennan from his Pompey days? Also have you taken in any of the games previously played today – if so what are the memories from them too?